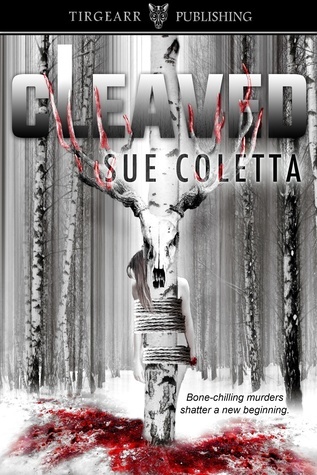 Reviewer’s note: Cleaved … such an old fashioned emotive word and one used to great effect in this story. This crime thriller opens with a gripping prologue. A woman is trapped inside a steel drum, terrified for her life. You are instantly there with her, experiencing every gruesome and terrifying moment as she tries to escape. Somewhere in the Lake Region of New England, a ruthless killer is on the prowl. He needs to kill Sage Quintano, the author wife of the Sheriff, Niko Quintano, but his reason is not clear. Someone starts to follow Sage, tormenting her with a nursery rhyme and then her world starts to fall apart. I loved the way the chapters alternated sometimes, as the two women in the story, Sage and her husbands female deputy, Frankie Campanelli take turns to build the tension and the story, and you couldn’t have two more different women than these. I thought the plot and storyline were expertly handled, for despite all the confusing clues I couldn’t tell the guilty from the innocent. The dialogue was handled well, with arguments strongly portrayed and believable. The tension builds gradually, almost painfully so. I read somewhere that the author actually experienced being inside a steel drum, for the sake of realism, I hope! The interaction with the Quintano dogs, Colt and Ruger, was rather special too, the scene where Sage and the dogs comfort one another was really moving. I would have preferred an English vocabulary, as some of the terms used were unfamiliar to me. And I’m not sure about the over description of the maggots! Author Sage Quintano writes about crime. Her husband Niko investigates it. Together they make an unstoppable team. But no one counted on a twisted serial killer, who stalks their sleepy community, uproots their happy home, and splits the threads that bonds their family unit. Darkness swallows the Quintanos whole–ensnared by a ruthless killer out for blood. Why he focused on Sage remains a mystery, but he won’t stop till she dies like the others. Women impaled by deer antlers, bodies encased in oil drums, nursery rhymes, and the Suicide King. What connects these cryptic clues? For Sage and Niko, the truth may be more terrifying than they ever imagined. Member of Mystery Writers of America, Sisters in Crime, and International Thriller Writers, Sue Coletta is an award-winning, multi-published author in numerous anthologies, and her forensics articles have appeared in InSinC Quarterly. 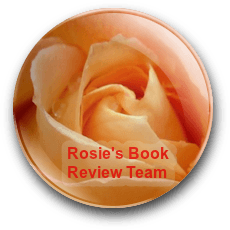 In addition to her popular crime resource blog, Sue’s a radio host—check out “Partners In Crime” on Writestream Radio Network, Blog Talk Radio—the communications manager for the Serial Killer Project and Forensic Science and founder of #ACrimeChat on Twitter. Sue lives with her husband in New Hampshire, surrounded by the sultry sounds of nature. Great review, Anita. I read Marred and loved it so this sounds like my kind of book. I must say the cover is pretty terrifying!! Yay! If you do read it, I hope you enjoy the ride. Oh, I do like the sound of this, Anita. A great review. Thanks, Anita. Gruesome descriptions are part and parcel of the stories, for sure. I hope you enjoy Marred! P.S. Just voted for your blog and Shelley’s. Good luck!! !